If you need fit into that dress pronto or you have a lot of weight to lose, the right workout can help you reach your goal. 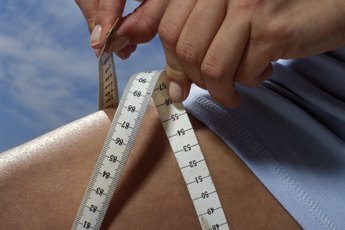 You can safely drop about 2 pounds per week; any more than that, and you'll shed more muscle and water than fat. What's more, crash dieting slows your metabolism, so you'll probably gain the weight back and then some. On the same token, overexercising can lead to muscle injury, leaving you unable to work out and thus more likely to pack on pounds. Flab-fighting cardio burns the most calories right now; if your main concern is immediate weight loss, focus on aerobic activity. Perform cardio an hour a day, five days per week. Top choices include running and jumping rope; these are tough though, so alternate with walking intervals to avoid exhaustion. 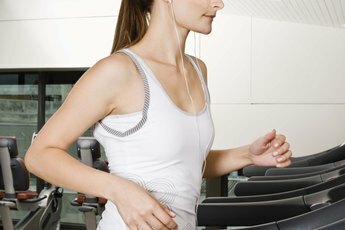 If you have joint issues, swim or use an elliptical machine instead. After your cardio workout or on separate days, perform 20 minutes of resistance-training exercises. Work all muscle groups: legs, thighs, hips, stomach, back, chest, shoulders and arms. Skip at least a day between resistance workouts to allow for recovery. If long-term weight loss wins over immediate gratification, gear your routine toward resistance training. It burns fewer calories than cardio, but builds muscle mass for a faster metabolism over time. Adopt a four-day routine, focusing on chest and triceps on day one, and biceps and back on day two. On day three, work your calves, abs and shoulders; day four, target your thighs. Sessions should run 30 minutes each. 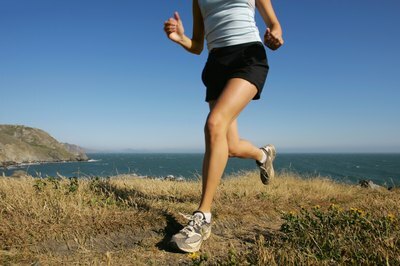 You also need your cardio, so go for a walk, jog or swim 40 minutes a day, five days a week. Do this after your resistance workout or on different days. Whichever workout you choose, always warm up and cool down for five to 10 minutes. If you'd like to stretch, do so only after warming up. Keep your fitness level in mind, and don't take on any weight or intensity that tires you or brings discomfort to your muscles or joints. Always have a water bottle at your side, and dress for the activity as well as the weather. Don't feel guilty about skipping workouts when you're sick or just plain beat; your body needs the rest. Even if it feels like you're literally working your buns off, you won't lose an ounce without a healthy diet. This means either dropping down to 1,200 calories per day or eating 1,000 fewer calories than you burn in a day -- whichever is higher. Stave off hunger by choosing foods high in fiber and protein, but low in fat and calories. Get your carbs from whole-grain sources and your fats from nuts, avocados and other plant foods.